I rather suspect that I was not the one person that James thought would be reading his blog article, but nevertheless I did and with some interest. There are many routes to and indeed through university and it struck me just how different my story is to his. Sadly this tale takes place before the prevalence of digital photography so it’s a little light on images. In fact it really begins at a time when photography itself was in its infancy, paint was the order of the day. My ancestors didn’t go to university. Most of them barely went to school. They were farm hands and factory workers with the odd miller and dressmaker thrown in just to add spice. In 1944 however there were significant changes to the state education system – changes that meant that both my parents were able to get a far better education that their predecessors. I was born into what was very definitely a white collar family. I would argue that we were working class – even though my parents made their living with the pen and not the plough we had no central heating, double glazing, car or telephone. I was a normal child, I loved sport and playing outside, building dens and generally acting like I was a character from a Just William book, or more likely from the Beano. I quickly noticed though that my interest in science and maths was a little more keen than most of the kids around me. The roofs of my dens stayed up and it wasn’t my aerial runway that snapped, dropping Craig derrière-first into some very uncomfortable looking brambles. In the early 1980s home computing was taking off and my elder brother wanted to be right at the cutting edge. We couldn’t afford that, but we had a steady stream of second hand equipment that he’d push to its absolute limit. I was a bit young for this but I tried to join in, I think I annoyed him quite a bit but these were valuable lessons to me. I learnt to program a computer when I was about 8 years old, about the time I learnt the offside rule. I found school frustrating. I had trouble concentrating in the classes I wasn’t interested in and trouble coping with how slow the ones I was interested in moved. Nevertheless I did quite well, but I’m sure there were a few teachers tearing their hair out in the full knowledge that if I actually applied myself in their classes I could have done so much better. I knew what I wanted to be though. I knew at 8 years old that I wanted to be a computer programmer. These were exciting times and the more and more I heard in the media and the more equipment I managed to get on the bench in front of me the more I was sure. Studying history was just not where it was at. Who learned anything from history anyway? Computing, that was where you had to be. Computing was going to be increasingly important in society and it was going to be where I made my career. There was a problem however. My parents were quite remarkable simply because they had both stayed on at school to get O Levels and not left to find work at 14 (or even 11). A Levels? University? It wasn’t something that was in my culture. Besides, by age 16 I felt that I’d had just about enough of formal education, I felt I was being babied by the system, it was channelling me down a very generic route and actually preventing me from studying the things that would be best for my future. Fortunately for me, British Telecom’s world renowned research facility at Martlesham was a comfortable cycle ride from where we lived and at 16 I joined their Trainee Technician Apprentice scheme to train to be an electronic research technician. I never had any intention of actually working as an electronic technician though, by that point it was clear that electronics research in the UK was all but dead. If BT were going to continue with research it was going to be in software, not electronics. The training group had tried their best to alter the apprenticeship to reflect this, but in reality they hadn’t gone anywhere near far enough. I was young and rather petulant, the course wasn’t what any of us needed and I was – on reflection – rather obnoxious about this. I almost got fired. Several times. They really weren’t happy with me doing just enough to scrape through the electronics stuff and using the time and facilities to learn more the kind of computing that I thought I was going to need. To them I was pig-headed and insubordinate. To me they were irretrievably mired in the dogma of a dying industry. I was just – but only just – smart enough to toe-the-line enough not to actually get fired, even so I sailed pretty close to the wind a few times. I even wrote a farce called “BT Terminated” which loosely chronicled the battles I had with the Training Division. They found a copy of it and did not see the funny side. I almost got fired for it. Nevertheless I did actually enjoy my time as an apprentice and the TTA scheme was hugely important to me, a lot of the skills that I still use today were learnt on that programme. For some reason I thought a purple silk shirt and braces was a good idea. I graduated from the training scheme and went into the OMC team. At that time the Operations and Maintenance Centre was a network of computers that controlled the vast majority of telephone exchanges in the UK. This was very different to the systems I’d been working on as a trainee which were generally small experimental developments. The OMC team wasn’t really my first choice, the problem was that I was very conscious of what the training division thought of me and there was no guarantee of a job at the end of the apprenticeship, so I thought any job in software development was a good outcome. Unfortunately I walked straight into the same kind of problems that I’d battled throughout my apprenticeship: the OMC used some rather dated technology and methods and wasn’t really compatible with my enthusiasm for being on the front-line of technology. They viewed me as a having a dangerous obsession with the cutting edge that was putting the UK’s telephony infrastructure at risk and I viewed them as dangerous Luddites whose desperation to cling on to the 1970s, use defunct and irrelevant methodologies and archaic technology was putting the UK’s telephony infrastructure at risk. The truth of course, was somewhere in the middle and if we hadn’t all been quite so pig-headed I think we could have achieved something rather significant. It was in the OMC team though that I first learnt the realities of trying to build and maintain a large mission critical system that required extraordinary resilience. A lot of the lessons I learnt then are very much still with me today. I was conscious though that my technical skills were falling behind the curve and that was going to make it difficult for me to find a more suitable position. I needed to get out of there or my career would suffer. Unfortunately at the time the OMC team was deemed to be under-performing which made it very difficult for anyone to transfer out. If I was going to get out, it was almost certainly going to be out of BT. Then a few things kind of happened at once. Firstly, a new boss arrived – he’d come through the graduate programme which wasn’t unfamiliar to me, I’d worked with graduates during my training programme and these were some of my favourite times, their theories and my practical ability were a good combination in the research environment. We made some pretty remarkable stuff happen. The new boss was a nice guy and he was doing his best, but he was a new graduate trying to deal with an embittered and demotivated team and he wasn’t shining. To me it was really obvious: he had no special ability, no great knowledge of how to develop software that had been imparted to him in the hallowed halls of some arcane seat of learning. He was now just like I was when I was 16, starting out learning his trade, it’s just that he was doing it as a manager not as a technician. Some time around then, one night in the darkest corner of the dingiest nightclub in town a girl I’d met a few weeks before said something that would change my life forever. She said “You must meet my friend, I think you’ll like each other”. You know those things that really only ever happen in films? Your eyes meet across a crowded room, you tip your hat, smile and calmly wander over to where she’s stood. Something witty immediately springs into your mind and everyone lives happily ever after. Yeah, it didn’t go anything like that. I’d never been formally introduced to a girl who I was supposed to like before and it was all a little awkward. We both – almost immediately – pursued relationships with other people. Nevertheless I couldn’t get the girl out of my head so I was glad that we started turning up in the same place a lot of the time. I was more glad that I wasn’t the only one doing it deliberately. With the pressure off we’d chat a lot and, well nobody was surprised when those other relationships didn’t last so long. One of the first things she told me however is that she was going to University next year. I knew that almost all long distance University relationships fail – and fail quickly. I didn’t want to lose her. I’d long held the idea that when I was a bit older I’d take what amounted to a career break and go to University. It was a target that I’d chalked onto the wall of things that I’d like to achieve at some unspecified point in the future. Right now I was going nowhere in my job. I knew that this was the kick up the arse that I actually needed. I looked at the new boss’s salary and mine. I looked at the progress that I could possibly make in 3 years if I stayed. I did the sums, I calculated the opportunity cost. It was clear that getting a degree for me at that time was a good investment. At the time the web was taking off and the opportunities for software developers were rapidly increasing. I thought it highly unlikely that I would struggle to find a job even if university didn’t work out. The girl however, she was definitely for keeping. BT did sponsor people to go university but they only allowed the cream of the crop to apply and not only did I have a the under-performance of the OMC team to contend with but the fact I’d narked off pretty much everyone in my command chain throughout my entire career up to that point. BT were however offering voluntary redundancy which, if used wisely, might just see someone through 3 years of study. Unfortunately the redundancy scheme was closing and it would leave me with a 9 month gap until until the start of the next academic year. So I took a career break and I actually ended up working for Suffolk Wildlife Trust. They needed IT skills which I could provide, at the same time I was able to get out into the meadows and woodlands of Suffolk as part of their habitat management function. Spending 9 months of my life not chained behind a desk was just the sort of break I needed. A lot of this work actually meant leading teams of volunteers and this was one of the most valuable experiences of my life. These people wanted to work, but a lot of them – for a variety of reasons – had been tossed onto the scrapheap of life. Many of the people had learning difficulties and this is one of the times I remember my perspective on the world suddenly whirling round to a totally different angle. I had to find a new way to lead because what worked in the lab and on the sports field wasn’t going to work here. I learned compassion, patience, understanding. I learnt to lead by not just giving orders but also by supporting people and enabling them to get the job done. Mostly it was simple things like not sighing when I had to explain for the 19th time that day how to use a brush saw. Seeing someone’s expression turn from sadness to joy just with the simple words “You’re doing a good job!” is a powerful thing indeed. The skills I learned at SWT have helped me in so many ways in so many different parts of my life I can’t even begin to try to quantify. I was genuinely sad when my time with them came to an end. Hull got short-listed almost by default, it was one of only six universities that offered both the degrees we wanted. Outside of Oxbridge it was the second highest rated. We also both knew people at Hull and it came with good personal recommendations. 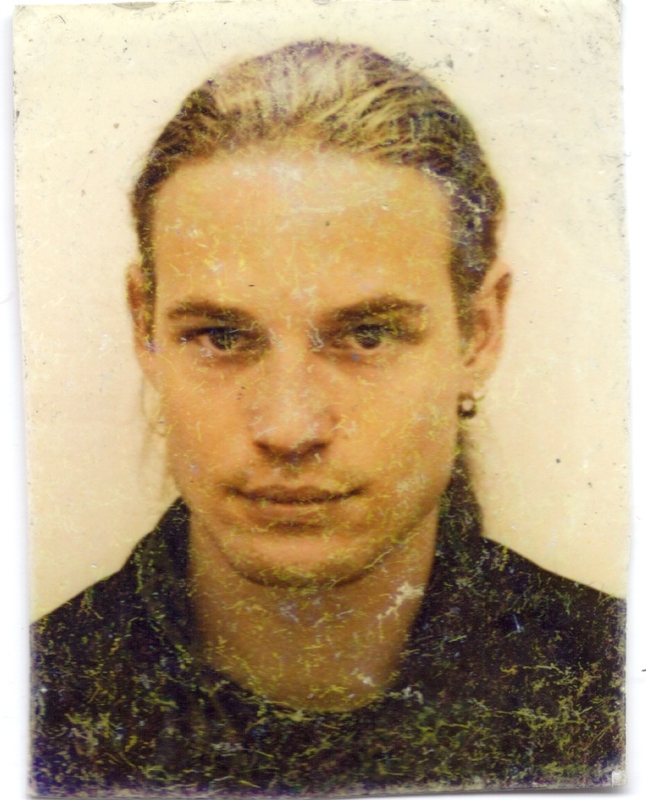 It’s worth mentioning that I was 21 at the time which meant that I counted as a mature student and the fact that I didn’t have A levels or equivalent academic qualifications was therefore not an automatic bar to my acceptance onto a course. Having said this I did still have problems getting traction with quite a few places. I realise it was easy to overlook my application, I’d done an apprenticeship in electronics but that probably just meant that I was just really good at soldering. Similarly I’d worked for a software house as a software technician but that could mean that I was just loading copies of Word onto people’s PCs. Hull was one of very few establishments that I believe properly considered the detail of my application rather than simply dismissing it on face value. I wasn’t exactly the normal first year student. I’d already been through the phase of being young and away from home. I’d also come from an environment where not turning up in the morning because I’d overdone it the night before wasn’t an option. I went out a lot, but I knew when to call it a night. Having said that there are plenty of weekends that I plainly don’t remember. So in a remarkable turn-up for the books I turned out to be a model student. I’d finally got myself into the environment that I wanted, actually studying the subject I wanted. Sure there were aspects of the course that I didn’t agree with but I’d grown up a lot since leaving BT. Yes I was still annoyed because I believed my time could be better spent in some areas but I’d gained a sense of perspective, the problems really weren’t that bad and the overall result was very much for the better. At the time the big software corporations hadn’t got involved as much with student activity. There were a few events, notably The British Computer Society Challenge which is the reason you’ll find my name etched into one of the plaques on the wall in the department. The department itself also ran a number of challenges which I always seemed to manage to unintentionally avoid, usually through strange coincidences such as them happening to book the closing date on the same day as a major music festival. I had fleeting involvement in Freeside. When it started the main aim was to explore free, open source software and to get such operating systems (not just Linux) running on any hardware it could get its hands on (not just PCs). I would have liked to have spent more time on/in Freeside but it just didn’t happen, by the time I really became aware of it I was moving into my third year and a lot of extra-curricular activity was dropped so I could concentrate on the important things. I don’t remember much about the third year, I don’t remember a single exam and I only have the vaguest memories of graduation. Apart from a brief sortie into the world of database middleware development I stayed in the area of communications and large public safety systems. Something had changed though, I was no longer that petulant child trying to fight against everything I saw as wrong. All that natural drive and energy were now being used in a positive direction, they were making a huge difference in my career and were really helping the businesses that I worked for. In 2008 however I was ready for a new challenge, something that I knew was going to be different and take me to places I’d not been before. So 8 years after graduating I rejoined the University of Hull, this time not as a student but to lead the development of the Brigid Command and Control system. Seed Software has undergone a few changes since then and my role has changed and developed. 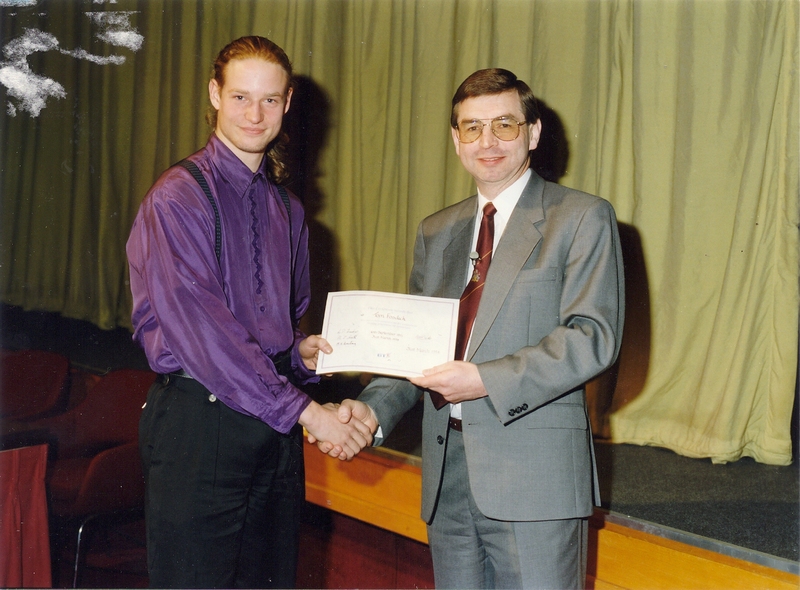 Being a student at Hull was the first time I really felt at home with my career in computing. Being there as a leader and a mentor is an immensely fulfilling role and one I hope to be able to continue for some time to come. If you’re wondering what became of the girl, I saw her recently. She’s doing well, has a very successful career. She lives in a little Georgian Cottage in Suffolk with a small black and white cat and her husband, who just happens to be a certain Computer Programmer. This entry was posted in Life on 2014-06-02 by Tom Fosdick.